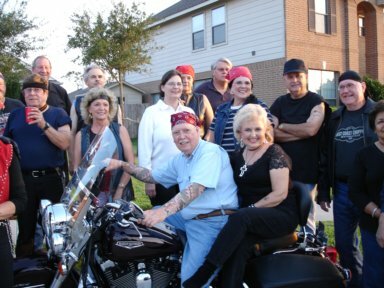 Charlotte continued, "This past weekend, I was privileged to co-host a Shepherd Group party from Second Baptist Church with a "Bikers and Babes" theme. Everyone there was at least our age and many A LOT OLDER. And we had a fabulous time. Here are some pictures of the "motley crew".